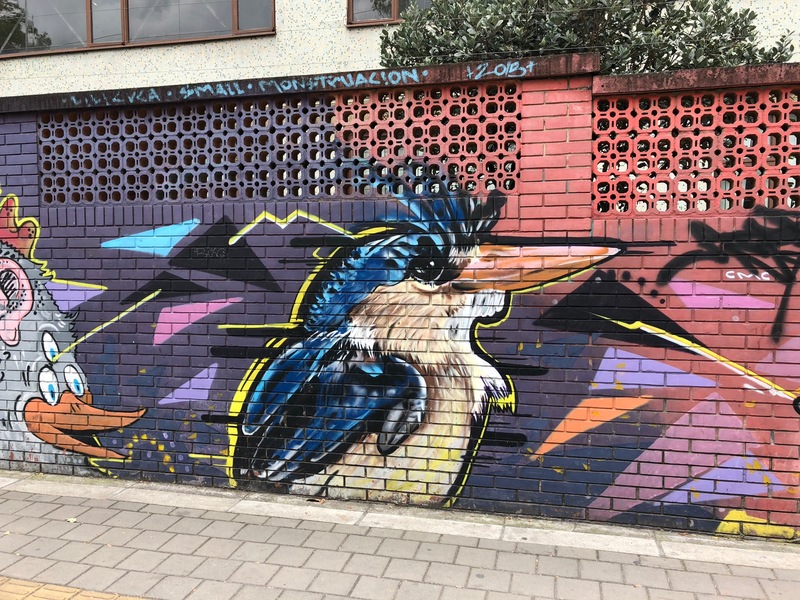 Near the Universidad National in Bogotá, there is a neighbor full of murals and graffiti with nature images. This one is a bird (a Kingfisher? ).